In order to understand the stock market death cross, there’s an important concept called a crossover which first has to be understood. Consider the crossover an essential foundation for reading a death cross – without this important charting event, no reading can take place. So what is a crossover? A crossover occurs when a security intersects one of its key technical indicators. 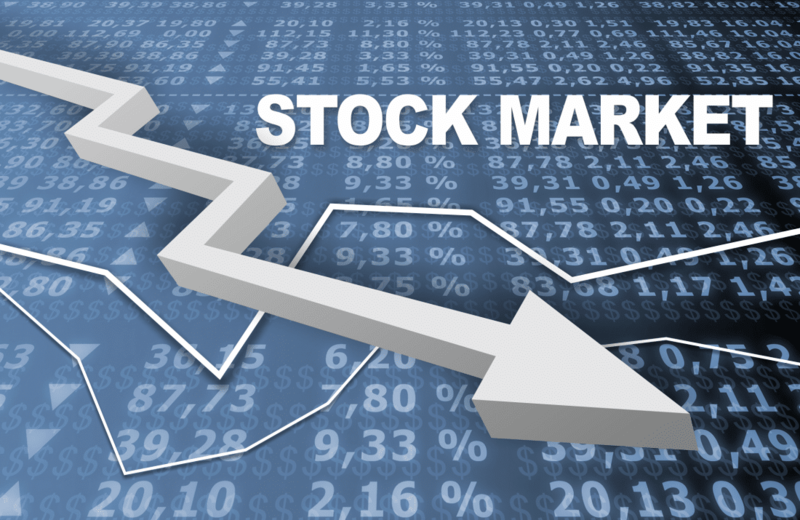 The key indicators used to predict future movement of a stock vary, but the daily moving average continues to hold sway among traders and investors. An example of such a crossover would be when a security – i.e. 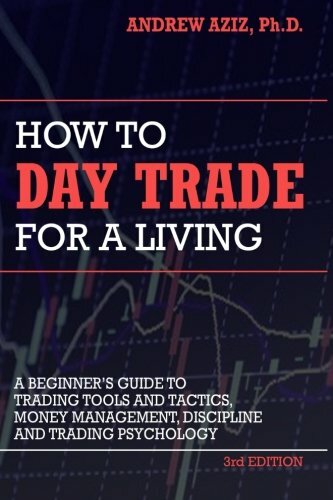 that line that you see on most charts – breaks through a key daily moving average such as the 20-dma. 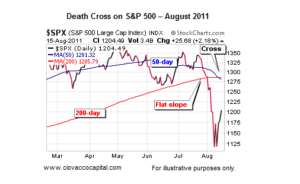 Now a death cross is a movement of such a crossover with a long-term trend. So as an example, if a stock’s long-term moving average breaks above its short term moving average, it creates a cross shape as the two diverging lines meet or cross each other at a point in time. The same can occur when the long-term moving average crosses the short term support level. A stock market death cross can be read at varying levels. You could for example read a stock market death cross within an individual fund or an Exchange Traded Fund (ETF). A death cross could also be read at the index level or at the individual stock level. It really depends on the vantage point and the goal of examining for a death cross. 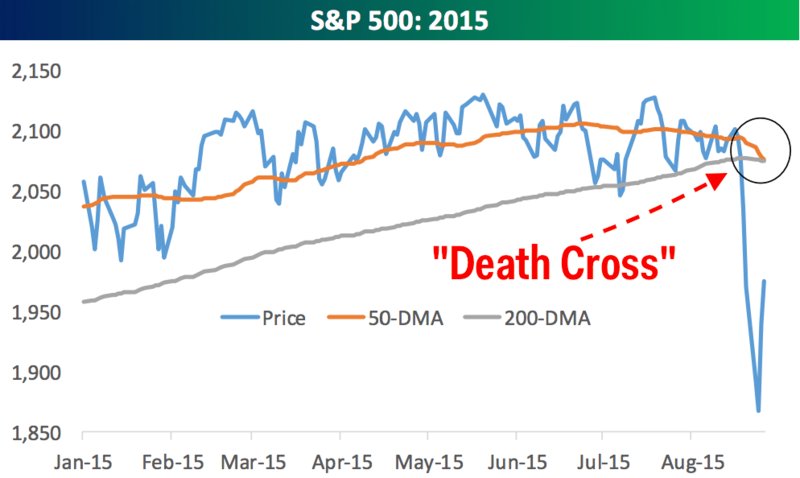 Investors have historically feared the stock market death cross, hence the word “death” in the name. Considered a bearish signal, stock market death cross can ushering waves and waves of fear and this often can trigger a sell-off. This occurs because negative cycle feeds on itself, sending even fence-sitters to abandon what would normally be considered safe positions in response to the mentality of fear which grips the herd. Key stock market death cross have occurred over the history of the stock market. There was for an example, a death cross recorded for the S&P 500 in November 1987 and again in September 1988. Both these death crosses occurred on the eve of one of the most spectacular market crashes in history. 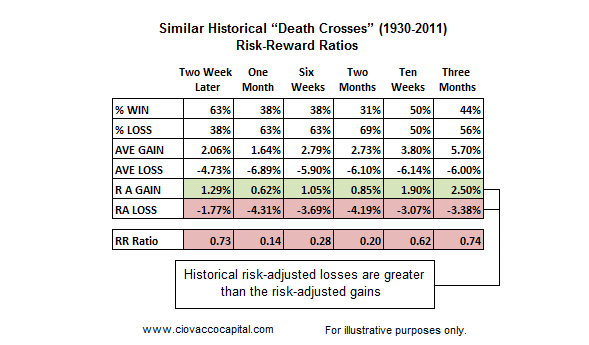 This is not to say death crosses always cause stock market crashes; this is not the case. But there’s no denying that there is some causal link between the emergence of a stock market death cross and the potential for a crash-inducing sell-off. Can You Profit From A Stock Market Death Cross? Most traders and investors fear the death cross but for the intrepid investor or trader a stock market death cross is a harbinger of opportunity. 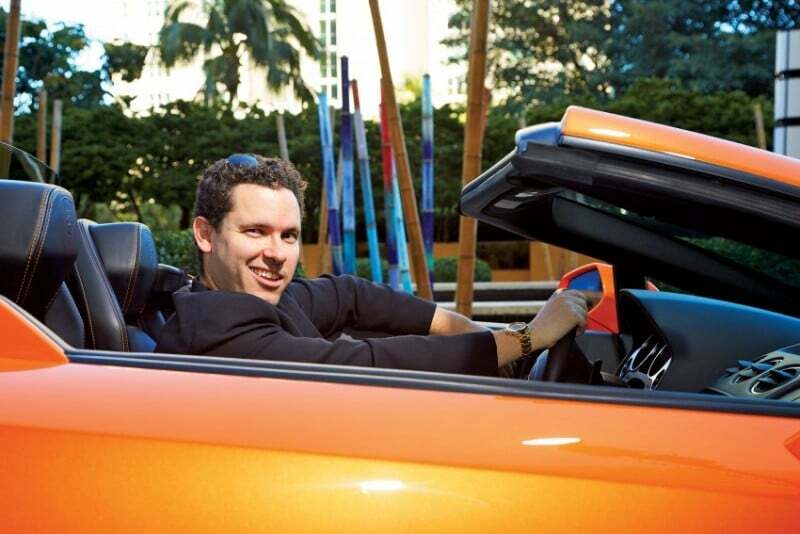 This opportunity presents itself most potentially in terms of shorting either the market itself or an individual stock. 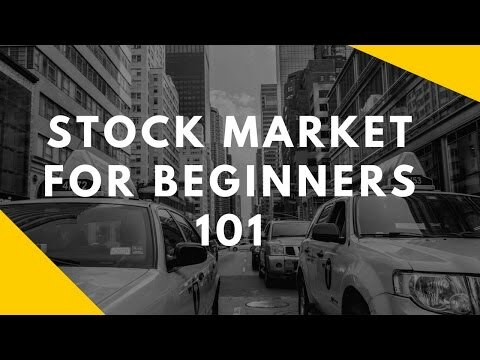 As you may already know, shorting a fund or a stock involves some element of a bet that the price or value of that fund or individual stock will fall at some point in the future. A stock market death cross taken as a precursor to a collapse in price or value can therefore be used as a predictor or leverage for short selling. Of course short selling is a extremely risky; and since a stock market death cross doesn’t make a price or value-drop automatic, a short seller could find that things work out against expectations. Nonetheless, many investors and traders of penny stocks will actively seek out stock market death cross in order to profit for any predicted future movement.